On sale! 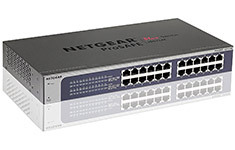 (normally $209) The NETGEAR ProSAFE Web Managed (Plus) 24 port Gigabit Switch offers the perfect upgrade from the plug-and-play unmanaged switch, delivering essential networking features at a very affordable price. 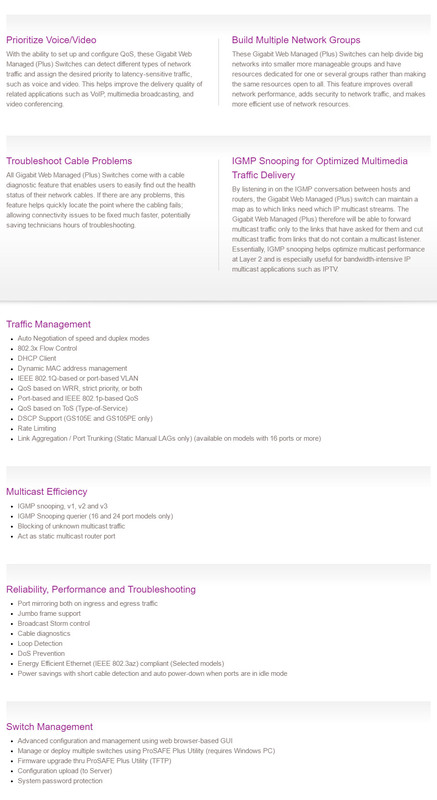 The ProSAFE Web Managed (Plus) Gigabit Switch provides simple network management delivering network monitoring, traffic prioritization and network segmentation beyond simple connectivity. They also come with features such as IGMP snooping, cable diagnostics, loop prevention and Auto DoS prevention, providing much needed improvement for network performance and resilience.